As suppliers and service agents for RAM Spreaders, supplying ports and terminals throughout West Africa (including Ghana, Nigeria, Cameroon, Liberia, Togo and Cote d'Ivoire) we are familiar with every model in the range. 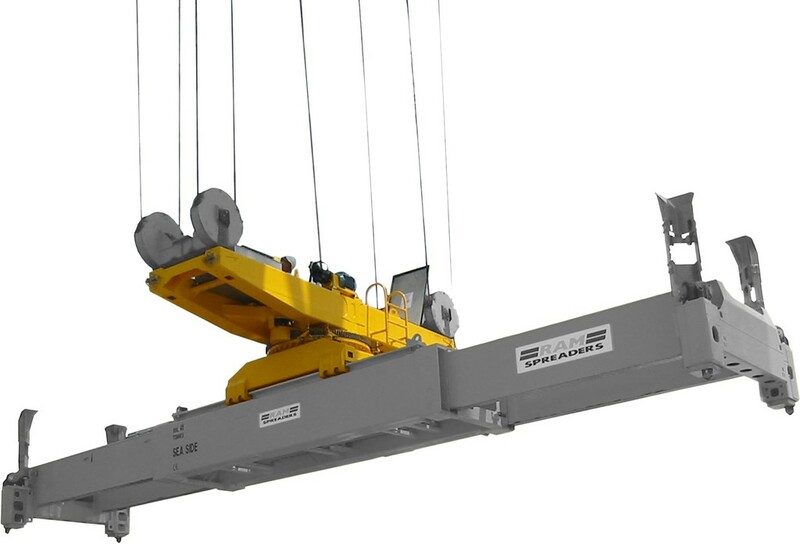 RAM Spreaders have been designed to operate on ship-to-shore cranes, yard stacking cranes, jib cranes, mobile harbour cranes, straddle carriers, reach stackers and front loaders. Models include electro-hydraulic, telescopic spreaders, single lift and twin-lift spreaders, for container lifting and yard stacking cranes. The RAM Revolver Spreader is a proven success in handling bulk conventional cargo, with additional environmental and associated environmental benefits. The technology points to the future of conventional cargo handling.